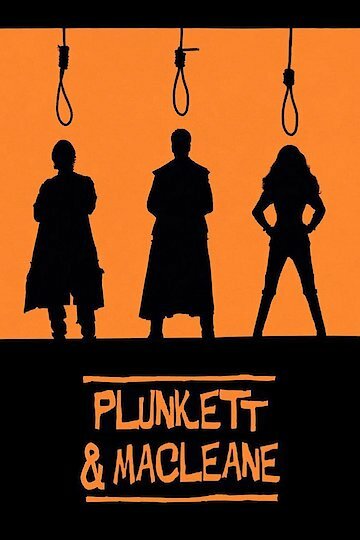 "They Robbed The Rich...And That's It"
An unlikely partnership between Plunkett, a thief with an appetite for vengeance, and Macleane, a drunken aristocrat shunned by his own kind, begins when they meet amid a heist. While cooling their heels in a jail cell, the pair comes up with a plan to finance their goals. Upon their release they begin robbing the upper class along the roads, using the profits to blend in with the aristocracy in order to obtain more valuable targets. Meanwhile, the crooked constable Chance is using his power to eliminate the magistrate, Lord Gibson, and seize his power for his own. Everything is going well for the thieving duo until Lord Gibson’s daughter, Rebecca, catches MacLeane’s eye. As their scheme begins to unravel Plunkett decides to cut and run. Macleane’s affection for the lady leads him into peril and he finds himself trapped and alone. Plunkett must choose between his freedom and his friend when he hears of his former partner’s fate. With everything, including his life, at stake Plunkett makes his final stand against Chance in order to save his friend, exact his revenge, and escape to the land of freedom.